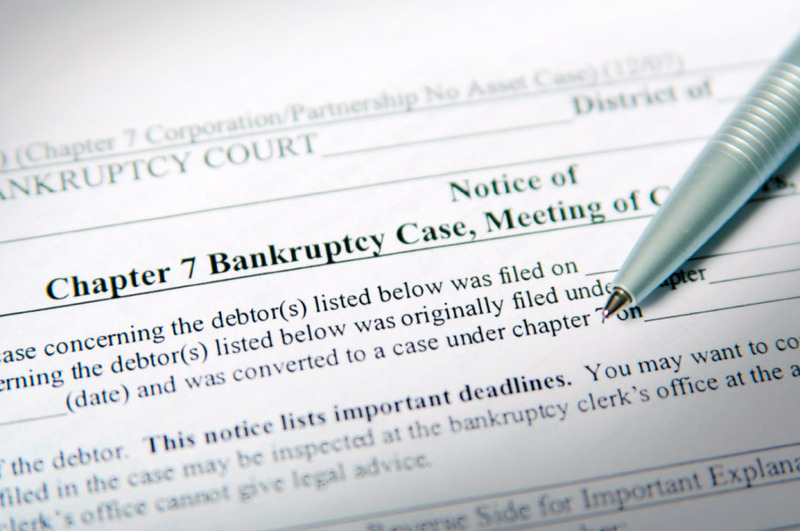 1 What is chapter 7 bankruptcy? 2 Who is eligible for chapter 7? 3 What is a means test? 4 What is credit counseling? 5 What is chapter 7 dismissal? 6 How does chapter 7 work? 7 What happens to credit card debt when you file Chapter 7 bankruptcy? 9 What are the procedures and how much paperwork is there? 10 Do I need a lawyer to file chapter 7? 11 How much does it cost to file for Chapter 7 bankruptcy? 12 Can these fees be waived or paid in installments? 13 What are exemptions in chapter 7? 14 How will my discharge work? 15 Will filing chapter 7 hurt my credit? Filing Chapter 7 bankruptcy releases or “discharges” individual debtors from having to pay certain outstanding debts while allowing them to keep exempt assets so they can get on with their lives. It has strict eligibility criteria and only certain types of debts can be discharged. The main purpose of Chapter 7 is to provide a “fresh start” to individuals who really need it. Once debts are discharged, the debtor no longer has any liability for them and the creditor cannot pursue a debtor any further. Receiving a discharge under Chapter 7 is not an option for corporations or partnerships; instead, only individuals or married couples can receive a discharge. Individual debtors can qualify for Chapter 7 relief. As an individual, you must first pass a means test. You must also receive credit counseling within 180 days before you can file and you must not have had a dismissed petition within the last half year. Partnerships, corporations, and other business entities may qualify for certain kinds of relief under Chapter 7, but not necessarily a discharge. It’s always smart to speak with a bankruptcy lawyer for more information, no matter what type of bankruptcy you’re seeking. Means testing helps determine who honestly needs Chapter 7 relief, meaning they’re having difficulty repaying their debts on their own. The test determines if your income is lower than the median level for your state, meaning you probably can’t pay back your consumer debts. There are two ways to qualify for a Chapter 7 bankruptcy with the means test. The first way is if your monthly income is less than your state’s median income for a family of your size. Under this scenario, you’re automatically eligible for Chapter 7. The other way is more complicated and depends upon specific budgeting information based on your exact geographic location. If your median income exceeds the allowable amount, but your monthly debt exceeds your disposable income by a certain amount after paying for your basic necessities, you could qualify. Again, the actual thresholds depend on where you live. It’s also helpful to know how your monthly income is determined. You’ll be required to use your average income from each of the preceding six months. So if your major financial hardship started because of an event that occurred just a few months ago, the means test might not accurately reflect your current situation. In some cases, it might be in your best interest to postpone filing for Chapter 7 bankruptcy to ensure you qualify for the best benefits. This is another situation where it can be helpful to see legal help before proceeding. Within 180 days before filing Chapter 7, debtors must meet with a government-approved credit counseling agency to discuss bankruptcy alternatives and possibly take actions to avoid bankruptcy. It should be free, or almost free. Organizations will work confidentially to find solutions to repaying your debt, usually through a strict personal budget and money-management plan. The Department of Justice provides details about approved state agencies you can use as a resource. What is chapter 7 dismissal? Once you know you’re eligible, the first step is to file a petition with the local federal bankruptcy court. In addition to your petition, there are a number of other forms you must file and several actions that either you or your lawyer must take. There are also fees associated with filing the case. After you’ve filed, you are granted an “automatic stay,” which means most collection agencies can no longer take action against you. About a month later, your bankruptcy trustee will meet with you and your creditors to discuss your financial situation. Depending on your answers and pre-qualification tests and materials, the case will either be accepted or dismissed. The bankruptcy trustee will also ensure you’re aware of the consequences of seeking a discharge, such as how it affects your credit. Additionally, your case might be converted to another chapter to offer you additional debt relief. Note that for debts to be discharged, you will be expected to fulfill certain duties, which we’ll get into shortly. What happens to credit card debt when you file Chapter 7 bankruptcy? All unsecured debt, including credit card debt and medical debt, can be wiped out through Chapter 7 bankruptcy if the court approves your filing. It usually takes about 4 to 6 months. Generally, filing for Chapter 7 bankruptcy protection does not eliminate your obligation to repay certain debts like student loans, recent tax dent, or alimony and child support. There are some cases, though, where student loans can be discharged such as if permanent injury or illness prevents you from repaying. What are the procedures and how much paperwork is there? Do I need a lawyer to file chapter 7? While you are legally permitted to represent yourself, having a lawyer is highly recommended. A lawyer will handle most of the details concerning your case and is liable for any mistakes he or she makes, which takes the burden of responsibility off your shoulders. Otherwise, you run the risk of making a huge mistake, which could ultimately result in a dismissal and additional financial stress. Fees vary depending on which state you live in and which law firm you hire. Below is about what you should expect to pay. Can these fees be waived or paid in installments? Yes, the court may waive your fees if you live significantly below the poverty level and simply can’t pay them. Both the courts and most lawyers accept payments in installment plans. What are exemptions in chapter 7? Your creditors have the right to liquidate many of your assets to pay off debts, but often you’ll be able to keep certain property, such as your house, cars, and needed household items. Together with the schedules, you are required to file with the court, you’ll need to file a list of these exemptions. The law states certain property is protected from creditors; however, you should consult an attorney to determine the details in your state. How will my discharge work? Most of your debts will be discharged, meaning creditors can no longer come after you. However, some debts are not allowed to be discharged. These include debts for alimony, child support, certain taxes, debts for federal or state student loans, and debts related to criminal conduct, such as death or personal injury related to a DUI. If any fraud is detected before or even after the discharge, it can be revoked. It’s recommended you talk to a lawyer for more information. Will filing chapter 7 hurt my credit? Yes. Your credit score will be negatively affected for a period of ten years, but you’ll slowly be able to build it back up. There are financial institutions that will quickly begin working with you again, allowing you to restore your credit as quickly as possible, provided you make every payment. If your bankruptcy was caused by issues such as injury or illness, you might be able to get creditors to consider this when they rate your credit. However, regardless of whether or not you can get credit, you can most assuredly expect to pay much higher interest rates on your credit cards and loans. You’ll also qualify for smaller lines of credit, so your ability to borrow will be significantly limited for some time. Each year, your Chapter 7 bankruptcy will count for less and less, so that your credit score naturally begins to repair itself. But future creditors can still see the bankruptcy listed for ten years. You’ll also have to wait a few years before you can qualify for a mortgage, generally between two and five depending on the type of loan you want. Because your credit — and your life — will be affected for years to come, it’s important to truly weigh the pros and cons before deciding to file for bankruptcy.